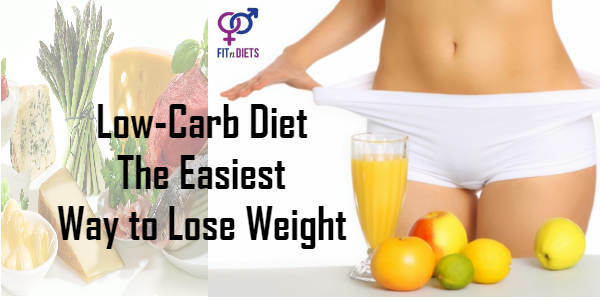 A low-carb diet or low carbohydrate diet has become extremely popular in recent times because it promotes fast weight loss and improves overall health. 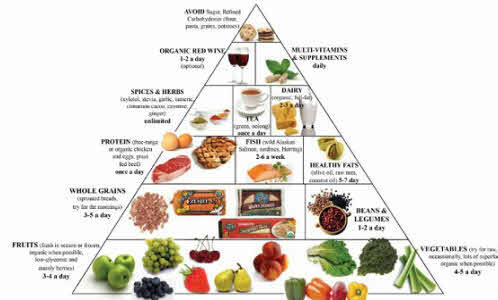 A low-carb diet plan restricts carbohydrates such as rice, wheat flour, all-purpose flour, pasta, bread, oats, sugary foods, etc and includes protein, fat, low-carb vegetables, etc. 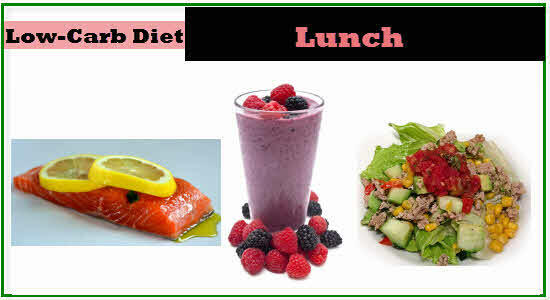 The main aim of the low-carb diet is to replace starchy foods with low carb, high-fiber vegetables and lean proteins. Other than weight loss, a low-carb diet also works as a treatment for obesity, diabetes, high blood pressure, cardiovascular disease and metabolic syndrome. Meat: Chicken, Beef, lamb, pork and others. Fish: Salmon, trout, haddock, tuna, etc. Eggs: Free range or pasteurized eggs enriched in omega-3 fatty acids. Vegetables: Spinach, kale, chard, collards, broccoli, carrots, cauliflower. Fruits: Apples, peats, strawberries, blueberries, oranges, etc. Seeds and Nuts: Almonds, walnuts, cashews, sunflower seeds, flax seeds and hemp. High-fat Dairy: Cheese, butter, yogurt and heavy cream. Fats and Oils: Olive oil, coconut oil, fish liver oil and lard. Sugar – Soft drinks, ice cream, fruit juices and many others. Artificial Sweeteners: Acesulfame Potassium, Aspartame, Neotame, Saccharin , Sucralose and Advantame. 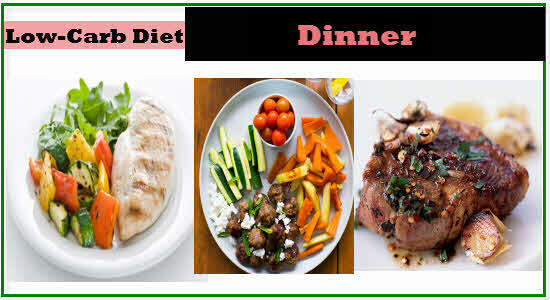 Following is a sample menu containing all low-carb diet foods. You can always include 2 to 3 low-carb snacks in this menu. Each and every meal strictly supplies less than 50 grams of carbs per day. Most of the health benefits of a low-carb diet are attributed to its capacity to reduce or completely eliminate glucose from the body. Most carb-rich foods such as grains, legumes, fruits, starchy vegetables and sweeteners break down into glucose in the body. The body uses up the readily formed glucose to produce energy. Once you start following a low-carb diet the body no longer gets the glucose from carbohydrates and as a result it begins to use the stored fats for producing energy which leads to rapid weight loss. Our body uses glucose and sugar for energy production, but it can store only 24 hours worth of glucose in the muscles and liver. So, once the stored glucose runs out and the supply of carbohydrate is low, the body turns to the store of body fat for fuel. A high-protein low-carb diet eliminates almost all sources of glucose and puts the body in a fat-burning mode. 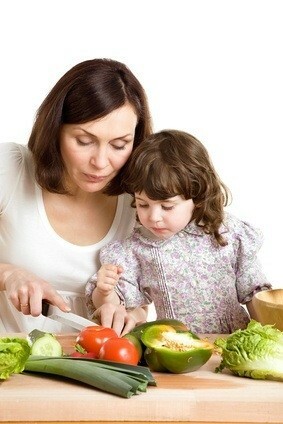 Low-carb diet have so many benefits in daily life style. 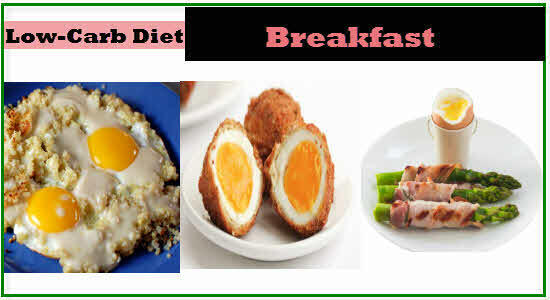 Low-carb diet is diet and restricts the carbohydrate foods. Following a low-carb diet shifts your attention from calorie counting to mindful eating which makes it much easier to stay on a diet. When you consume foods containing carbohydrates and sugar, the hormone insulin is secreted from the pancreas in order to balance the sudden rice in blood glucose level and one of the jobs of insulin is to store fat in the cells. 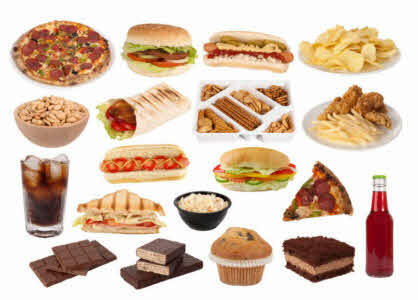 Therefore, elimination carbohydrates from the diet help to prevent the release of insulin and promoting fat storage. A low-carb diet also aids weight loss by curbing hunger and appetite. One of the worst enemies of any weight loss diets is hunger which disrupts your commitment. Following a low-carb diet automatically curbs your appetite. When people replace carbs with proteins and fat they end up eating fewer calories. A low-carb diet rich in proteins and healthy fats is much more satiating than carbohydrates and sugar because protein and fats effectively turn off the so-called “hungry hormone” known as Ghrelin. Carbs spike insulin release which leads to unhealthy food cravings, where as proteins and fats turns on the satiety hormones in the body so that you can go on comfortably between meals without requiring any snacks. The key to maintain your insulin at a steady level is to gain control over the appetite hormones by reducing the amount of sugar and carbs in the diet and increasing high-quality proteins and fats in every meal. Studies show that a low-carb diet reduces the level of glycated hemoglobin and fasting glucose. These factors are especially beneficial for diabetes patients and people with prediabetes. Our normal diet which is usually high in carbohydrates raises the level of postprandial plasma glucose and insulin, which in turn increases the risk of diabetes, high blood pressure, obesity and heart disease. But, a low-carb diet works as a natural solution to all these problems. Low carb diet foods reduce the amount of sugar and starch in the diet. A study found out that low-carb diets are better equipped at reducing some of the risk factors of heart disease and certain metabolic syndrome. People following a low-carbohydrate diet not only have reduced risk of heart disease but also have an significant increase in healthy HDL (high-density lipoprotein) cholesterol and decrease in triglycerides level – one of the main causes of stroke and heart attack. Although, there is a popular belief that a high-carbohydrate diet rich in starch and sugar is essential for energy production and keeping you alert, but the sugars might have a crashing effect on the mind and can make you feel tired, irritable and stressed. Sugar has an addictive effect on the brain and it can increase your cravings, anxiety and fatigue. A diet low in carbohydrates and high in protein and healthy fats aids better cognitive functions. The healthy fats work as powerful antioxidants that aid the formation of brain-supporting molecules and neurotransmitter that control memory, mood, learning, etc. A diet rich in refined carbs such as white flour, white rice, white bread, sodas, pastries, pasta and ready-to-eat breakfast cereals and sugar increases the rate of free radical damage and oxidative stress in the body that boosts the cancer cells and malignant tumor tissues to grow and multiply at a faster pace. But a low-carb diet significantly reduces the amount of sugar and starch in the diet which works as a natural protection against cancer. It also helps to improve the immune function of the body. Reducing the amount of sugar and carbs in the diet also aids better digestion. The unhealthy bacteria found in the gut feeds on the sugar and carbs and results in the development of Candida virus and enhance the symptoms of irritable bowel syndrome (IBS), leaky gut syndrome, etc. On the contrary, protein-rich foods, healthy fats and vegetables help to improve digestive health and curb the growth of harmful gut bacteria. Hormonal imbalance is one of the leading causes of infertility in women which can lead to Polycystic Ovarian Syndrome (PCOS). A low-carb diet helps to balance the function of the neurotransmitters which helps to improve mood, reduce depression, subside anxiety and relieve some of the symptoms of PCOS. This happens because a high protein low carb diet helps to balance the hormones naturally and bring forth a feeling of overall well being. Hypertension is one of the major risk factors for heart disease and stroke and one of the best ways to reduce blood pressure is to lower the intake of carbohydrates and sugar. While a low-carb diet promotes weight loss which itself produces a healthy reduction in blood pressure, minimizing the intake of sugar and refined carbs also helps to lower high blood sugar and insulin resistance, which are also significant contributors to high blood pressure. All that being said in favor of the low-carb diet, there is not strict generalised low-carb diet plan that works for everyone. There are a number of factors such as a person’s age, gender, body weight, level of physical activity, etc that influences a person’s health when following a low-carb diet. So, you might need to experiment a bit with the diet at first in order to achieve the right level of carbs that works best for you. But, it is best to reduce the amount of carbs gradually in order to prevent side effects such as tiredness, headache, uncontrollable cravings, mood swings, etc.